Dinner at Harlan Goldstein's Comfort. 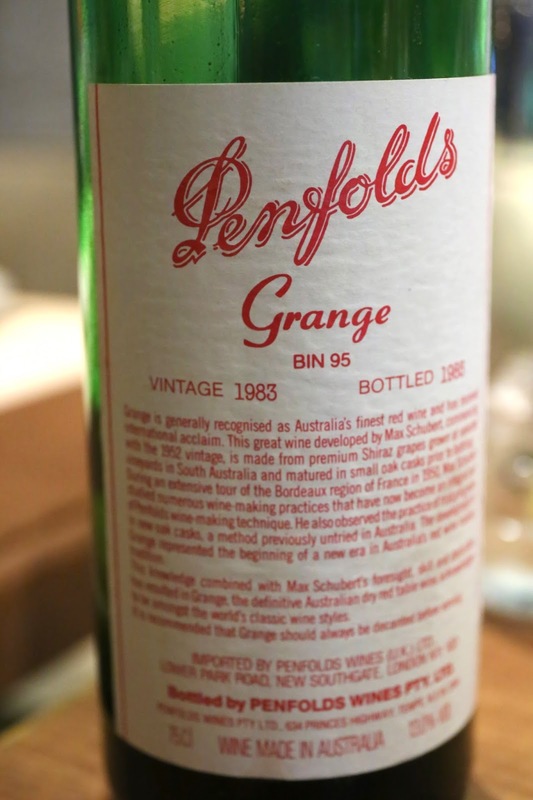 1983 Penfolds Grange - decanted and served 45 minutes after opening. Didn't like the first whiff I got... instantly detected that green pepper, vegetal, wet cardboard nose. Was this bottle corked? Definitely possible, but I'm not very sensitive to TCA and this wasn't badly corked. Initially the nose was a little muted, and when a Grange doesn't explode in your face, that's usually a sign of trouble... A little smoky at first, and eventually after a long while, the familiar sweet vanilla finally showed up. Acidity was a little higher than expected.